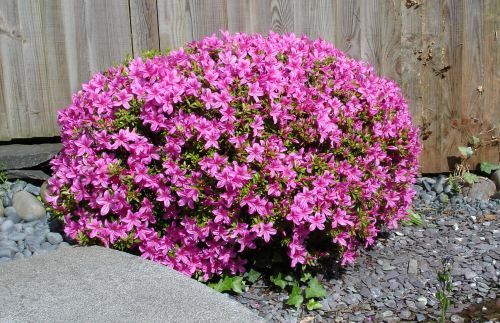 One of the main focus of the garden are a number of sheared azalea bushes. 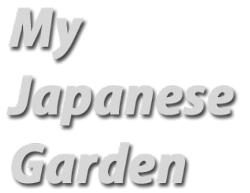 These are to be seen in many Japanese gardens but not common in western gardens. I suppose you either love them or hate them! I love them. 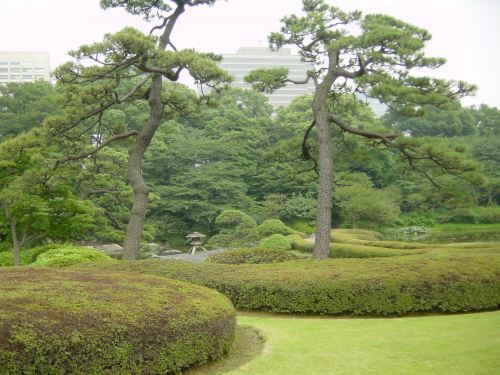 Above is a picture of a pair of sheared azaleas in the garden of the Imperial Palace in Tokyo. Sometimes they are by themselves or some times in groups - usually three and almost certainly an odd number. The bush above is pretty much as it was planted in 2003 as taken out of the container and in a fairly rough shape. I cut back all the long shoots to an approximately round shape. 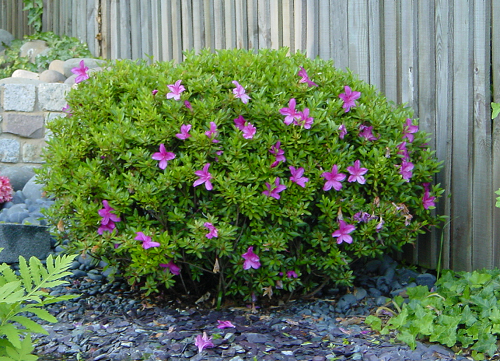 At least with an azalea you can trim as much as you want and each trimmed stalk will sprout quite easily. 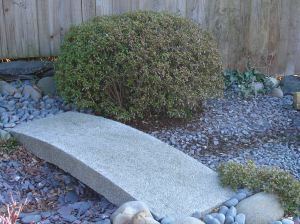 You will need to trim at least twice a year; once just after the bush has flowered and the second time in the autumn. It is very useful to buy a small handheld electric trimmer as doing it by hand can be a slow process and it is difficult to make smooth curves! The trimmed / sheared azalea, filling out nicely. The trimmed / sheared azalea in full bloom. This is when the shearing becomes really worthwhile! 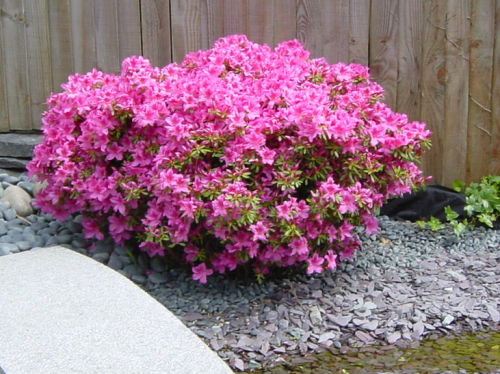 The trimmed / sheared azalea in 2006. I guess I will try and keep the bush at this size in coming years. 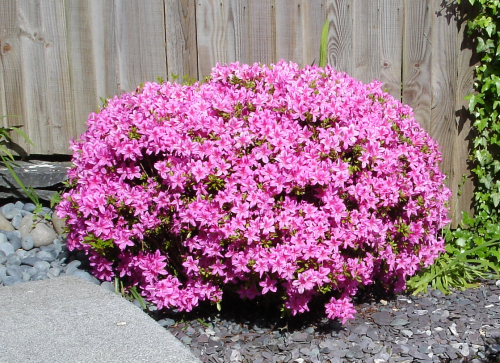 Here is one of the sheared azaleas as seen in the winter of 2006.